Henry Tumbusch was my husband's great-grandfather on his mother's side of the family. He passed away September 1, 1942. Here is his obituary, as published in the September 4, 1942 issue of The Minster Post (page 1). 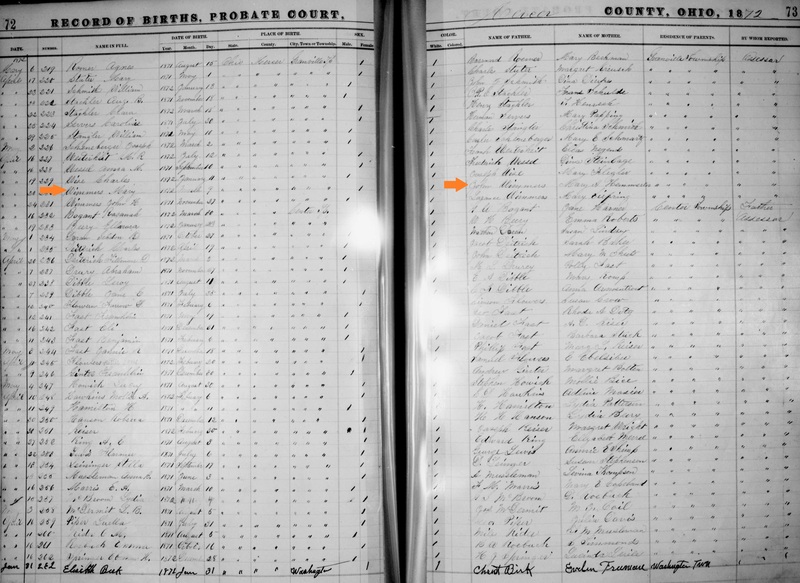 Henry was the son of Theodor Tumbusch and Anna Rasing, German immigrants who came to America in 1861. Unfortunately, Theodor passed away when Henry was only about seven years old. His mother never remarried, but ran the small family farm and raised Henry and his three younger siblings by herself. She lived until 1918. As stated in the obituary, Henry married Mary Frances Wimmers in 1893. (Here in this obituary, she is listed as 'Mary,' which is also her named stated in the Mercer County birth probate record; however, in every census and in her obituaries, she went by 'Frances.') Henry and Frances had eleven children, nine of whom are listed in the obituary. One son, Ferdinand, passed away in 1907 at the age of ten months, and another son, Joseph, was born stillborn in 1917. Henry spent his entire life in Mercer County, Ohio, near the village of St. Henry. He attended St. Henry Catholic Church and is buried in that cemetery. According to his death certificate (below), he had suffered from bronchiectasis for a couple of years preceding his death. 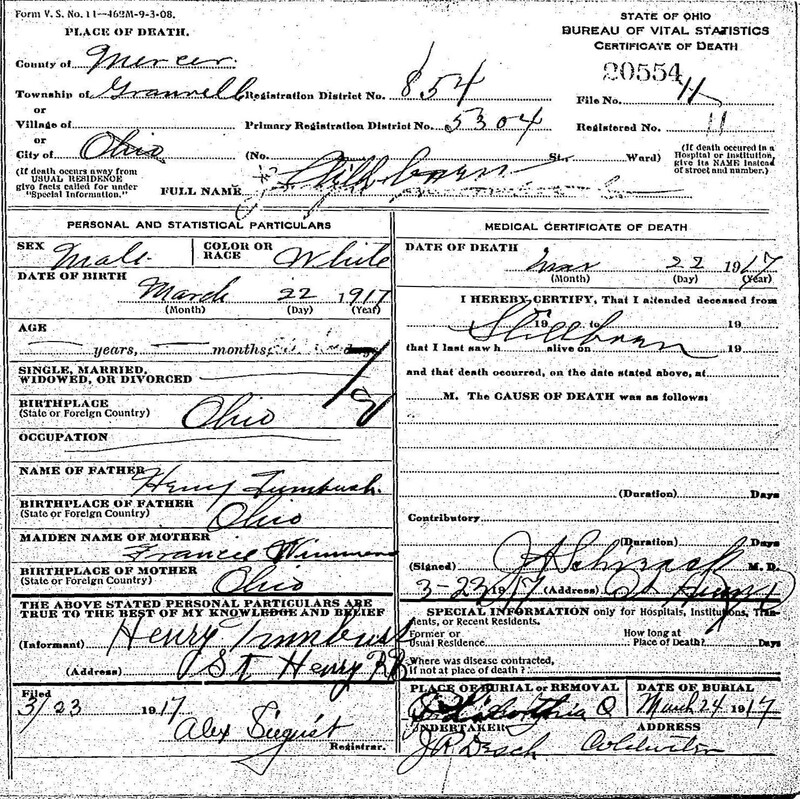 Death Certificate Source: "Ohio, Deaths, 1908-1953," index and images, FamilySearch (https://familysearch.org/pal:/MM9.1.1/X83R-8YJ : accessed 05 Apr 2014), Henry Timbush, 01 Sep 1942; citing Granville Twp., Mercer, Ohio, reference fn 63127; FHL microfilm 2024037.